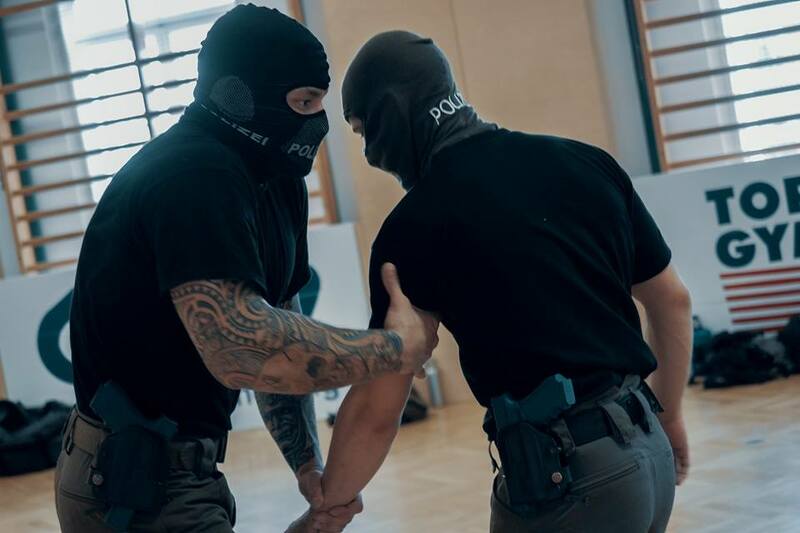 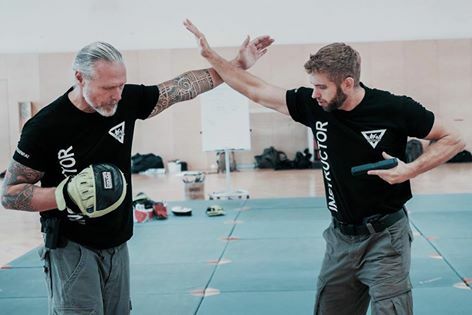 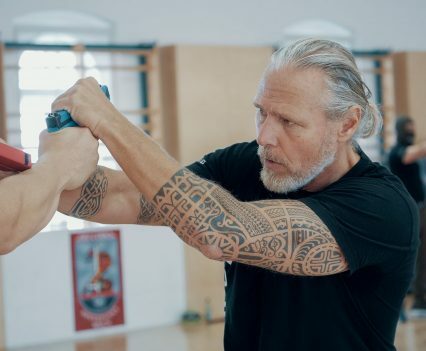 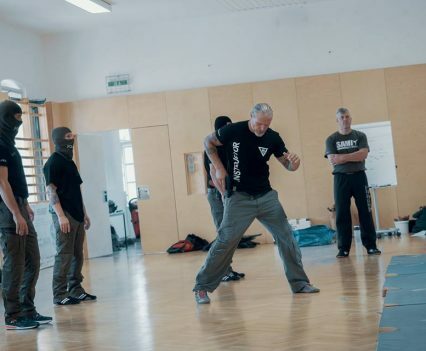 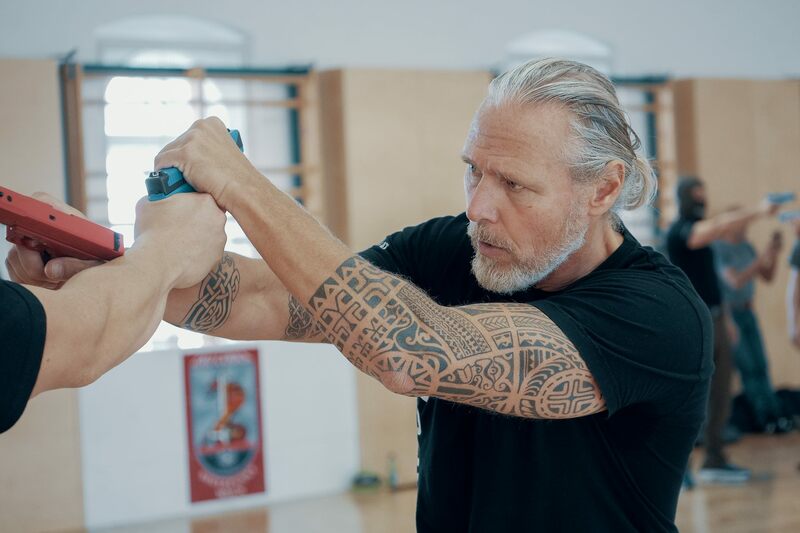 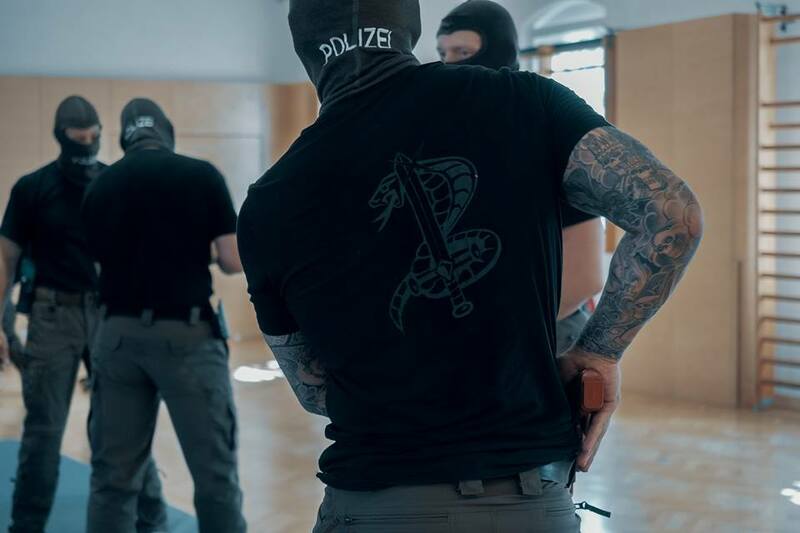 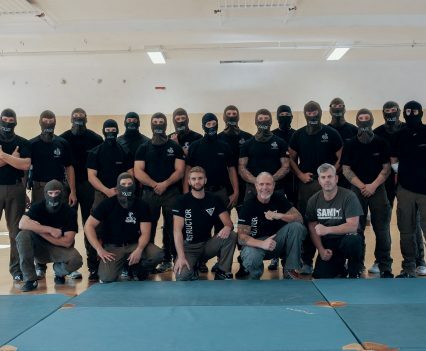 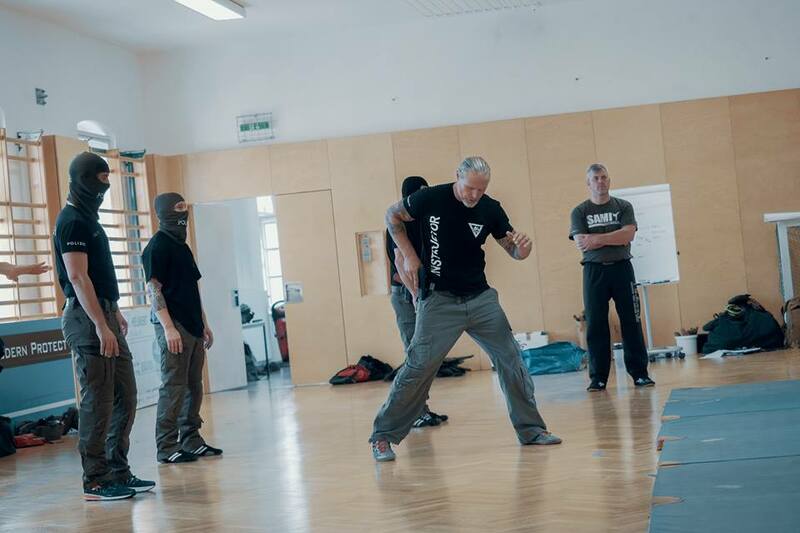 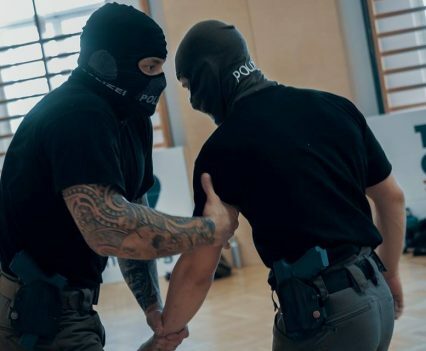 Peter Weckauf and Anton Dyk introduced Kapap Concept to the close combat instructors of the Austrian Special Police Unit COBRA in a one day training course at their barracks in Vienna. 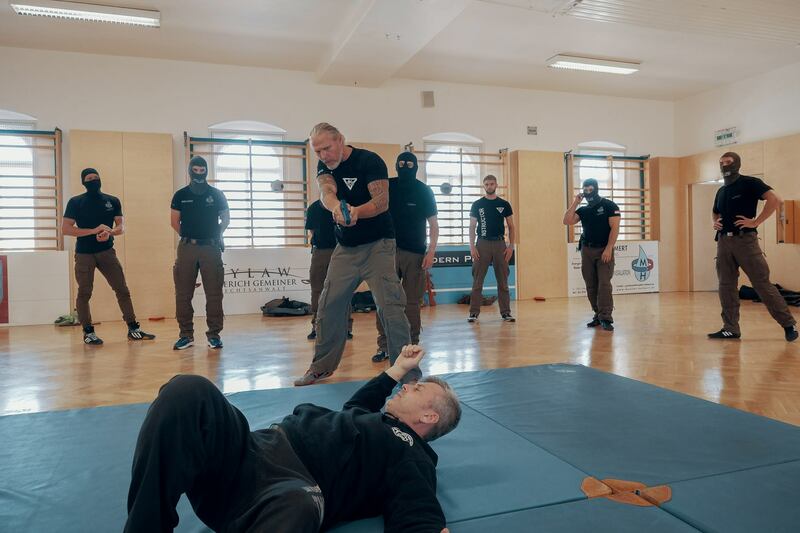 After a short introduction of SAMI Combat Systems they started to work on basics of unarmed combat followed by specialized instruction in weapon based techniques such as retention and defense. 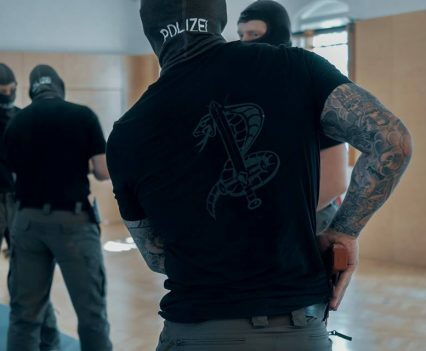 Scenario training, in which the attacker uses firearms or knives was covered also. 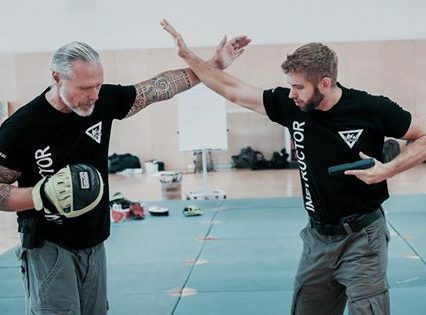 Use of the SIRT laser system in these scanarios allows Peter and the team to give an accurate impression of realistic combat situations. 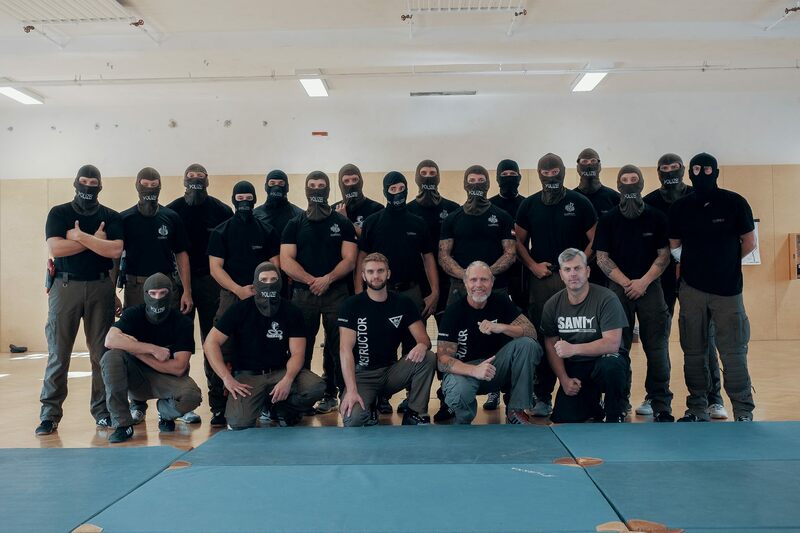 It was a great day for everyone and we are proud to have such a motivated and skilled Special Unit here in Austria.